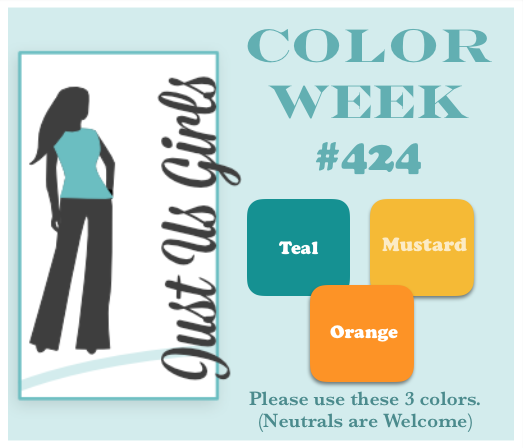 Hello, It’s Color week over at Just Us Girls and Ina has a great trio of colors to get your mojo flowing. This card is similar to one I posted a few months back. The moment I saw the colors she had chosen, I knew I wanted to try my hand again at beach scene, so that is what I did. I did a bit better job of blending my Oxide inks this time around. I used post it notes to mask off for this card. 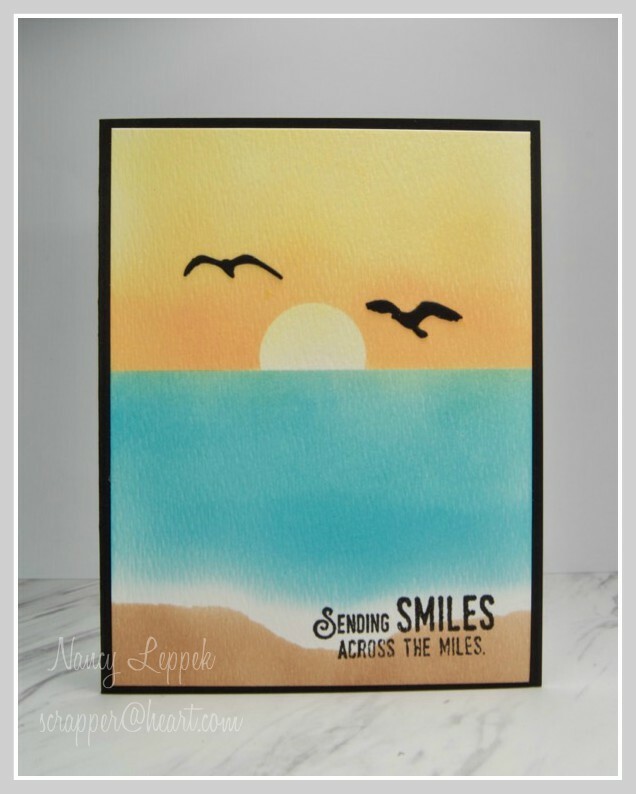 The sentiment is from Stampin Up and the birds are a die from Impression Obsession. Categories: Cards | Tags: Card making, Cards, color challenge, oxide inks, rubber stamps, stamping, Thinking of you | Permalink. What lovely calm water you created here Nancy. Just like what I saw a few days ago while eating fish & chips by the beach. That sunset looks so real. I’m sure those birds are crows are they??? LOL Those oxide inks sure have come in handy this week. Wonderful sea scene. Nicely done. Love your card!!! the scene is perfect use of the colors – love all the details that make this such a peaceful scene! Your lovely beach/ocean/sunset scene has sparked a desire to pack my bags and jet off someplace tropical! Beautiful blending and you’ve really evoked a sense of place! Simply sensational! Your lovely beach/ocean/sunset scene has sparked a desire to pack my bags and travel to someplace tropical! Beautiful blending to evoke an inviting sense of place! Oh how I wish I were on that sandy beach watching the sunset, Nancy. Such a peaceful looking scene, lovely card! Beautiful scene you created. Love your card. I love your beautiful serene scene! These colors are so perfect on this beauty.